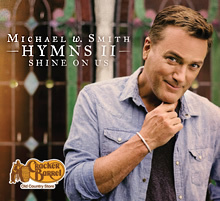 Following up his 2014 release HYMNS , Michael W. Smith continues to share his love of songs of faith with HYMNS II : Shine On Us, a second remarkable collection of favorites from the hymnal. Having written several songs with Gloria in the past, it was a memorable re-gathering when Michael joined Gloria for a conversation about the nature of hymns, the joys of songwriting and the hope that grows out of this life-changing music. 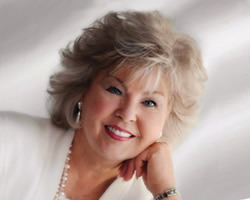 GLORIA GAITHER: I am just loving listening to your new new album and I wanted to talk to you about the choice of songs — that’s always the thing that intrigues me. Why you pick what you pick and why you treated the ones you picked the way you treated them. A lot of them are pretty sparse, and I really love that. They’re not too different from the way they were written, instead of being rearranged and re-chorded — I mean, the chord structure changed. I love that, because I think we live in the time when we aren’t hearing chords anymore. We’re not hearing all those wonderful moving parts and things that were originally written in some of these songs. It’s a wonderful collection of songs — tell me a little bit about why you picked what you did. 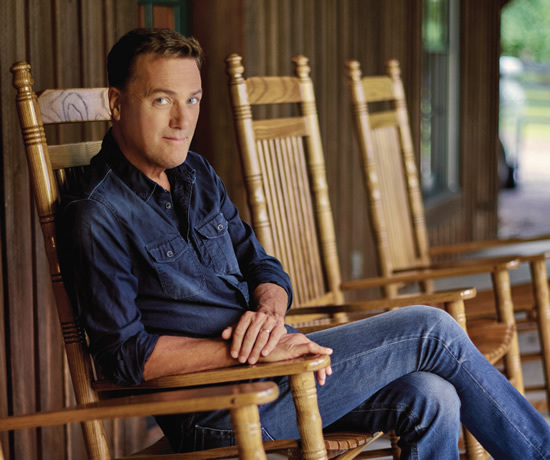 MICHAEL W. SMITH: Well, honestly, I had to kind of wrack my brain just a little bit, because I thought one hymn record was going to be it for Cracker Barrel. I thought I’d picked out all my favorite hymns on the one that came out two years ago. All I knew is that I wanted to make this one a little different than the first one because almost every song on that first hymns record was right out of the songbook. For this one, I wanted to do a little bit of the old, and a little bit of the new … maybe some of what I would call modern hymns. So, I just kind of started making a list, going through the hymnbook and thinking about what else I could sing. And there were a couple like “I’d Rather Have Jesus,” and I thought, oh my gosh, why didn’t I put that on the first album? So there were a few that I missed that I’m glad I found. I wanted to start the record with something that’s really unique and really, really different, and I remembered the Alison Krauss version of “Down to the River to Pray,” from O Brother, Where Art Thou. And I thought wow, is there any way to “Smitty-fy” this? GLORIA: I really love that cut; I like what you did with it. MICHAEL: Yeah, and most of the inspiration really didn’t come from Alison’s recording. It came from a version that the Mormon Tabernacle Choir did. When I was looking up “Down to the River to Pray,” I was trying to find every version I could. And I thought, the Mormon Tabernacle Choir did “Down to the River to Pray”? That must be odd. So I listened to it, and it’s incredible. It’s still the Mormon Tabernacle Choir, but the way they did the changes, the way they modulated up a fourth, and then up another fourth — I took that idea and then sort of made it my own. I thought that was a really good way to open up the album, and all my kids, all my grandkids, that’s their favorite. 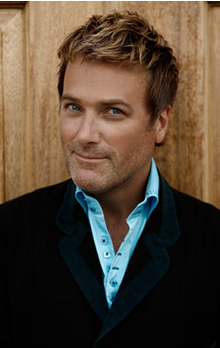 GLORIA: I loved also “Turn Your Eyes Upon Jesus”; I’ve always loved that, and I think that was a really cool version. MICHAEL: It is very pure; I don’t think there’s anybody that sounds like her, honestly. It’s nice when you can find somebody where you feel like your voices are blending well together, and I’m really grateful that she took part in that. To me, that song is in my top 10, if not the top five. GLORIA: Yeah, me too. I guess I associate that song, too, with Bob Benson and the artist retreats that we used to have with him. He would always end several of his talks with “Turn Your Eyes Upon Jesus,” and that’s when I fell in love with that song, because of Bob. MICHAEL: Yeah, that guy’s music really changed my life. I mean, it wasn’t only the Beatles and Elton John, but it was Andraé Crouch and Larry Norman and Randy Stonehill. But Andraé, being a piano player—I had everything he did. Before I ever moved to Nashville, I had every record that he made. And “I Don’t Know Why” is a song that I’ve been singing since I was a kid, since that record came out, and I wanted to do an Andraé song. Obviously, he just went to heaven, and I thought, we need to do one. I’m glad I picked that one. GLORIA: I notice that when we say hymns, we use that term so loosely. Sometimes I think we mean anything that has survived a couple of generations. But you have several on here that are real hymns, which … the classic definition is that they are addressed to God or they are songs we sing together about the qualities of God, reminding ourselves who this God is that we serve — that He is indeed bigger than we think, and bigger than the stuff that is overwhelming us right now. GLORIA: So you’ve got “Nearer, My God, to Thee,” and “O Sacred Head, Now Wounded”—that is one of my favorites. What is your history with that song? MICHAEL: You know what? I’ve just loved it my whole life. I think that I must have heard it sung at Belmont, sung a cappella — you know, Belmont Church with Don Finto — one Sunday when they all sang it a cappella. Every Sunday, they would at least do “The Lord Bless You and Keep You” a cappella, but I heard this song one time, and it just floored me, absolutely just flattened me out. I think it’s one of the best of the best. I love the musical changes in it and just lyrically … it reminds me of something that you would like, Gloria. GLORIA: (Laughs) I really love it, and I was wondering … I totally expected you to say that your Church of Christ a cappella background influenced that hymn, because isn’t that beautiful a cappella? MICHAEL: Oh, it’s incredible — it really is. And you know, something about the Church of Christ … I remember almost every time I’ve visited one, I’ve asked, “Would you all sing me something?” because those people know how to sing a cappella, and they sing all the parts. So I think that morning at Belmont, whenever it was — in the ’80s, I think — that’s when I first got smitten by the song. And I’ve heard the song my whole life, but then going back and revisiting it for this project, and looking at how powerful the lyric is … that’s sort of what did me in, and I thought, this needs to be on the album. GLORIA: What does it make you feel, as a writer, to know that — I mean, there were two of your big, standard songs on here — that maybe something you wrote is going to stick to the wall forever? MICHAEL: I know they’re all not going to stick to the wall! (Laughs) You know, you feel the same way. You see your song in a hymnbook, and it’s sort of like wow, that’s amazing. I never dreamed that that would happen. I mean, I think if there’s anything that’s stuck to the wall, it’s probably “Agnus Dei.” It’s not on this record, but it’s a song I feel like I’ll definitely be singing the rest of my life. Every time I sing it, it just rings true, and people respond to it. That’s the big thing — everybody responds to that song every time I sing it. MICHAEL: Well, I hope I can write three or four of those myself. MICHAEL: I just don’t want to find … maybe I’m at the point where you are, Gloria. Maybe my bar is raised. I feel like I’ve sort of done it all, on some level, and I kind of get bored, a little bit. I just don’t want to write anything unless it’s really significant, you know? That’s kind of where I’m at, I think, today more than I ever have been. And how do you write a great, great song? I’m kind of back at the drawing board, for some reason. I don’t know if it’s just the season I’ve gone through. My dad went to heaven four months ago, and I’ve just finished a world tour, and I finished this hymns album, which I’m very, very grateful for … but it’s almost like I’m trying to regroup and figure out how to move forward. And I don’t want to move forward like I have in the past. I don’t know what all that means, you know? I just know that it has to be significant for me to do another record. If it takes five years, I’m gonna take five years; I’m not going to go out and try to write a bunch of pop songs, or even write a bunch of worship songs. You know, everybody’s writing all these worship songs, and I think we have a lot of mediocre worship songs. We have a few that really are amazing, but I think the ones that are not so good are really overwhelming the ones that are. I’m trying not to be judgmental, I’m just … we’re supposed to be the best. I mean, we represent the God of the universe, who is so creative. I just think we need to express that, and I think we settle for less. I don’t know, maybe I’m venting on myself, because I’ve sure written my share of not-so-good songs and wish I’d spent a little bit more time on them. I think maybe every songwriter feels that way on some level, but I just want to do something significant. So, I think it’s a good place that I’m at, that I’m not going to settle for less and just try to go jump in and do something else. That’s the fun thing about doing a hymns record—you get to go back and do these songs that are timeless. GLORIA: And many of these that you have on this album are also personal testimony songs that have been timeless. So, the life-changing encounter with God is still lifechanging, you know? If it’s not, if we don’t have a redemption, a “reformational” piece in anything we do, I’m at the place where I don’t think it’s worth it. If it’s not going to change lives, if it’s not going to make any difference, if it’s not going to change the trajectory, then why do it? MICHAEL: Yeah, why do it? I’m with you 100 percent. GLORIA: In “America the Beautiful” — I don’t recall if you recorded this verse — I love the verse that says: O beautiful, for patriot dream/That sees beyond the years/ Thine alabaster cities gleam/Undimmed by human tears. MICHAEL: That is a great lyric, and I did record that verse. GLORIA: I was thinking you did. But I was just thinking right now, our whole political spectrum is so discouraging, and the rhetoric is so discouraging. I really long for patriots, even in our country and in the church, who see the ideal … who see the dream of these alabaster, perfect cities where people love each other, where people go to work and come home and fix supper and they get along in the neighborhoods. If you don’t keep an ideal … if you don’t keep a dream—I want patriots that have seen it all, but not let what you see dim what you see could be. MICHAEL: Especially where we’re at now—it’s pretty unbelievable what’s going on. It’s incredible. GLORIA: One of my other favorite cuts on this is “Come to Jesus.” I love that song. MICHAEL: That is a Chris Rice song. He’s a good writer, and I remember I got asked to sing it at a memorial service for a sweet man who was in the music business. He died suddenly, about 10 years ago. And Chris had just released a record with this song on it, and I sang it at that funeral. I have never forgotten it, watching what the song did to people. So when I decided to do a little bit of the old, a little bit of the new, I went back and revisited Chris’s song and thought, “I’d like to do this.” I’m glad I put it on the album. GLORIA: Tell me, what’s your favorite thing on this album, if you had to pick one? MICHAEL: Other than the fun part of “Down to the River to Pray,” which is sort of contagious, I would say “I Need Thee” or “Jesus, Only Jesus.” That one came from the Passion movement out of Atlanta, and it’s probably one of my favorite new worship songs. Again, I wanted to try to sort of bring a little of the new in. And you know what? I like “His Eye Is on the Sparrow.” I know it’s been recorded a million times; I went back and forth at least 25 times saying I wasn’t going to cut the song, because it’s been recorded so many times. But I just remember what that song did to me when I saw Sister Act 2. Hearing Lauryn Hill sing that song in the movie … it just blew me away. So, I went in the studio and decided to try it, because I love the song so much, and it seemed to work. I’m glad I did that. But if I had to pick one, a prayer song, it would probably be “I Need Thee.” “I Need Thee” is honestly, my go-to song, you know? It says exactly what I want to say every single day when I get out of bed: I need Thee, oh, I need Thee/Every hour I need Thee/Oh, bless me now, my Savior/I come to Thee. GLORIA: Well, you have selected many really great old hymns on this project, and I guess that’s what is kind of driving me now as a songwriter. What are these “tent posts” that we need to drive in the ground now, for these times? I think so many people are so broken at such deep, deep levels … all kinds of grief. Not just death grief, but grief over losing their childhood, grief over losing a home they never had. I guess the Psalms call it a travail; we’re in labor pains, we’re groaning. And I feel driven to write something to say you know, there is a healing for that rip you feel in your soul. And I think there are some themes that are just universal themes that would be great to write about… So when you get up here, let’s write a hymn or two—I’d love that. GLORIA: You have the melodies for it! I sit down all the time and listen to the instrumental album that you did, and it’s like OK, I really want to write words to these songs. MICHAEL: Well, I need to bring you some stuff. I know I’ve said that in the past, and I just need to do it. 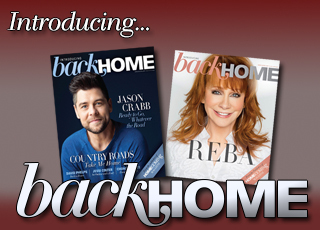 I’ve written so many hymns and a lot of stuff that I think would be right up your alley! I just need to go back and revisit and get that music out to you. It’s just been such a busy year and a half with this world tour and again, and losing my dad and whew! I’ve just been kind of trying to get my feet back on the ground! GLORIA: Thank you, Michael. I look forward to writing songs with you again and appreciate hearing all about what you’ve been doing. MICHAEL: Well, thank you, Gloria. It’s good to talk to you, and give Bill my best.